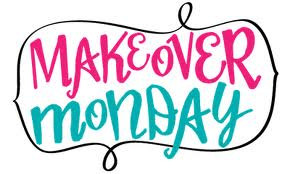 I have the second episode of “Makeover Monday”…“Baby Steps to Success for Creating a Business and a Lifestyle You Love for you today. What Are Some Tips For Choosing a Real Estate Investing Strategy? You may find one that just feels right from the beginning. It might be one that you get up each day and are excited about working in your business. It could be that you choose your strategy based on your knowledge and skills. Wholesaling is a job. Some of the parts of that “job” are marketing, looking at (potential) deals, making offers and selling those properties. Rehabbing is a very hands on strategy. Buy and hold definitely has the potential to be a passive income business. But especially in the beginning, you will have to be either directly involved in the day to day operations or hire a property manager. So your first thing to figure out is which strategy you will focus on in your real estate investing business. Just remember that this may change over time as you and your business grows and evolves. I’ll see you next time for another Makeover Monday; Baby Steps to Success for Creating the Business and the Lifestyle you Love. Next time we will start to break down these 3 main strategies.